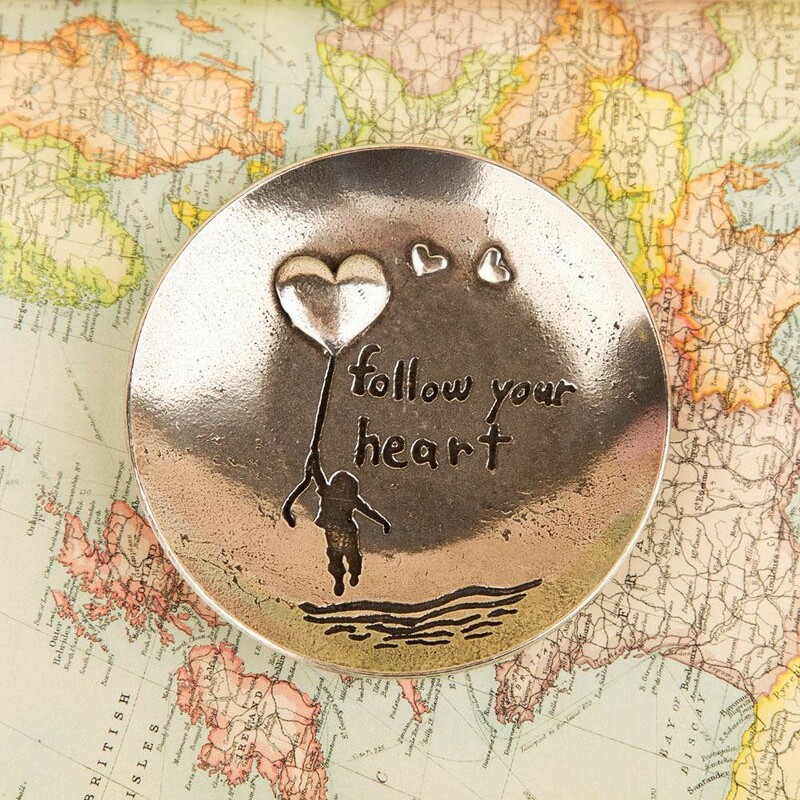 An adorable keepsake dish is perfect for any couple who recently got engaged, married or for someone who is planning to move away to be with their loved one. It is a lovely reminder to follow your dreams. 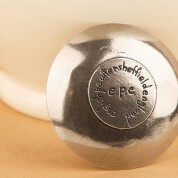 This unique gift will be well received and the dish can be displayed for years to come and is sure to remind them fondly of you and makes a wonderful addition to any home. It can be sat on a side table or window ledge and is ideal for holding small precious things on like rings, earrings or coins. 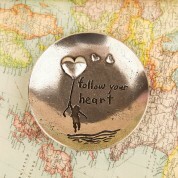 It is hand made from 100% lead free pewter and comes stamped with a message that reads 'Follow your heart'. 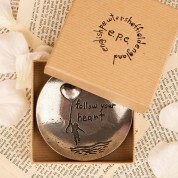 The keepsake dish is well presented in a craft-like neutral coloured gift box.